Contrary to popular belief, Friday The 13th movies are not written by plugging a predetermined number of horny campers into the Murder-O-Matic™, turning the knob to “Voorhees,” and kicking back with a cold brewski until the machine spits out a finished screenplay. 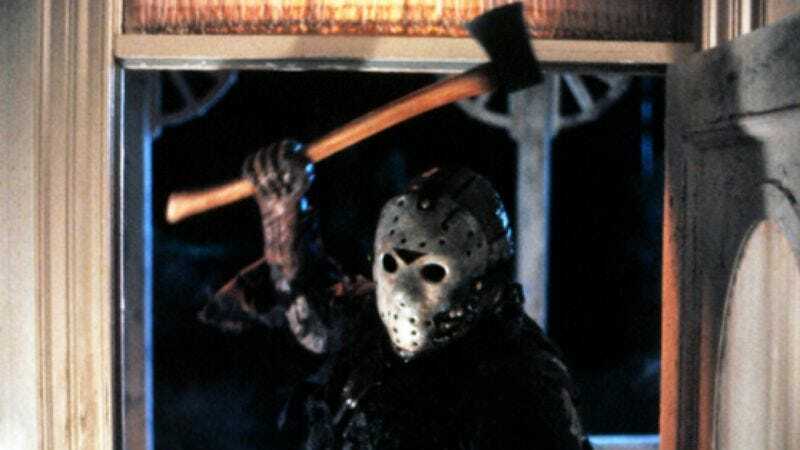 No, it takes human ingenuity to come up with Jason killing a teenager with her own sleeping bag, which is why the producers of the upcoming 13th installment in the long-running horror series have hired Aaron Guzikowski to write it. Guzikowski is best known for his work writing Prisoners, Denis Villeneuve’s acclaimed thriller starring Hugh Jackman as a father desperate to find his kidnapped daughter and her friend. He also created the Sundance Channel drama The Red Road, which not that many people watched but starred Jason Momoa. Basically, he’s known for elevated genre fare, meaning this might finally be the movie that raises Friday The 13th to fine art. (Aside from Jason Goes To Hell: The Final Friday, of course.) Or it could just send him back to space.